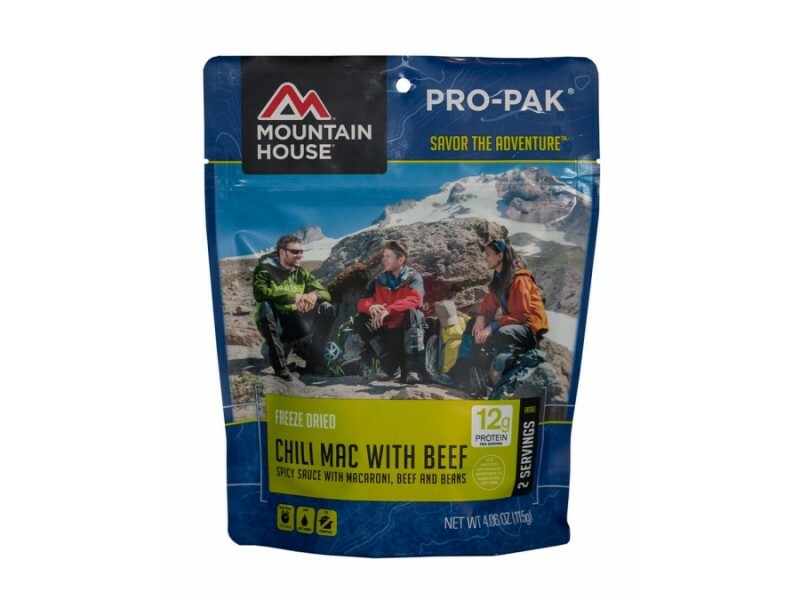 Chili mac with beef from Mountain House is a great tasting meal that everyone in the family will really enjoy. 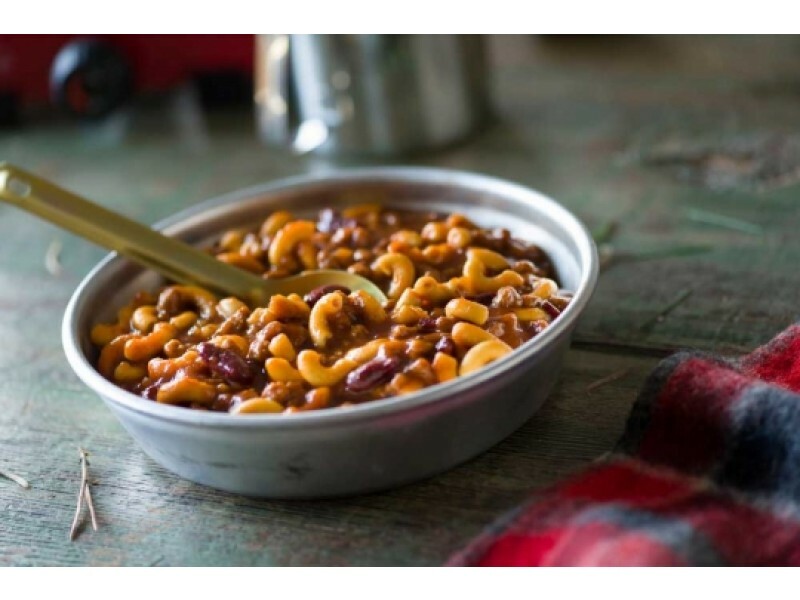 The recipe was chosen by Mountain House to provide a great taste, while still offering a great variety of different vitamins, minerals and other nutrients to keep you strong and healthy. Each serving in this pouch contains 12 grams of protein, which is very important, especially when facing difficult scenarios. Stock up on this great product so you’re prepared for whatever life throws your way. 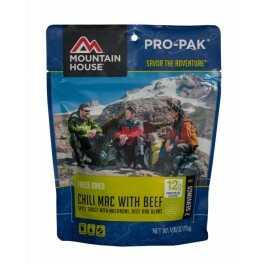 This pro-pack from Mountain House contains great tasting chili mac with beef. It is made using a spicy chili sauce mixed in with beef, beans and noodles. Everyone in the family will love the great taste of this dish, which is very important because you don’t want to have to argue with the kids or other members of the family about what they need to eat. Add this to your emergency food stockpile to provide a meal that you can be confident everyone will eat without complaint. In addition to tasting great, this chili mac with beef will also help keep you feeling fuller for longer each day you enjoy it. Depending on the situation you’re facing, this could be extremely important for keeping up morale and staying strong enough to get the day’s work done. Another great aspect of this product is the fact that it is designed to last for 10+ years on the shelf without going bad. This is very important for any food you’re planning on using for an emergency food supply. 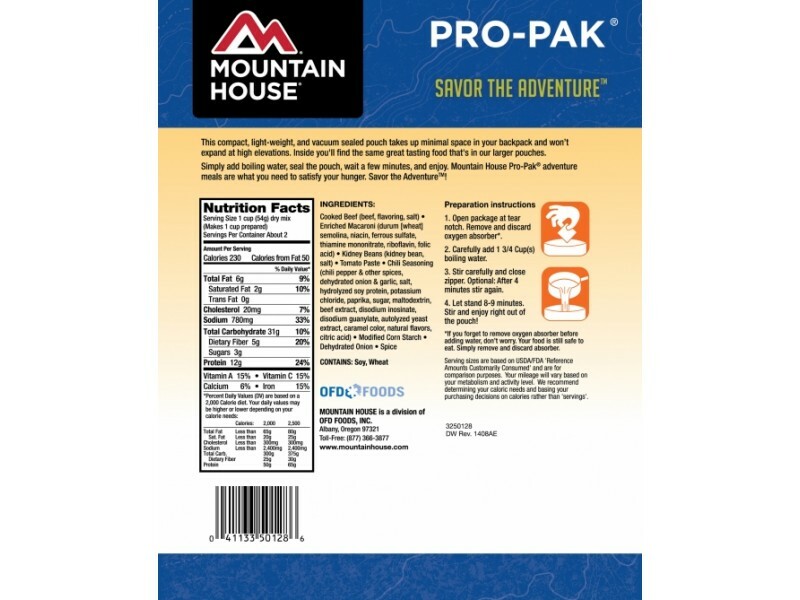 Of course, you can also use this food from Mountain House while out camping or hiking to ensure you’ve got enough food to make it through as well. Whatever you use it for, just make sure you have enough for every situation.